You need to be an Australian resident and 18 years or over to participate in this promotion. By clicking ‘Yes, I confirm’ you acknowledge that you are. KEEP ORIGINAL RECEIPTS. Starts 12.00AM AEST 23/8/18; ends 11.59PM AEDT 17/10/18. Must be AU resident aged 18+. 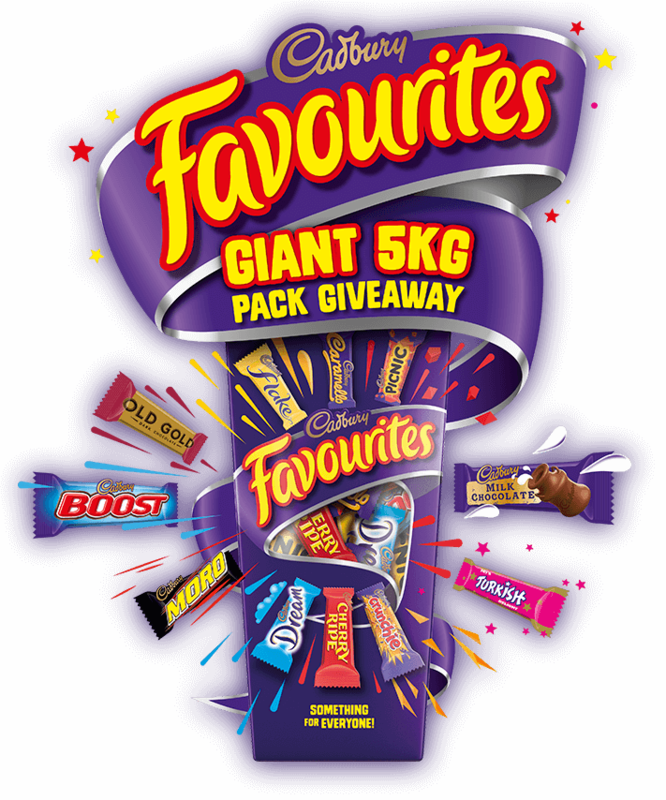 To enter, buy 1 x Participating Product from a Participating Store (Qualifying Purchase), go to www.cadburyfavouritesgiant.com.au (Website) & complete entry online. 1 entry per Qualifying Purchase/max 5 entries per person/day. Draw: 2PM AEDT 19/10/18 at 191 Ferrars St, Southbank 3006. 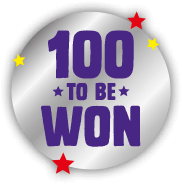 Prize: 100 winners will each receive a 5kg CADBURY Favourites Pack (RRP $150). Total prize pool: $15,000 (incl GST). Winners notified in writing & published on Website 26/10/18. Full T&Cs on Website. Promoter: Mondelez Australia P/L L10, 75 Dorcas St, South Melb 3205. Permits: NSW: LTPS/18/25332; ACT: TP 18/01128; SA: T18/1039. CADBURY FAVOURITES, BOOST, CRUNCHIE AND THE COLOUR PURPLE ARE TRADE MARKS USED UNDER LICENCE.